In the 1980s, handbags began to be advertised as vital accessories to complete a look, but with a confidence that demanded that they be seen in their own right. Some were luxury items, clearly destined to be collectibles rather than fashion statements. 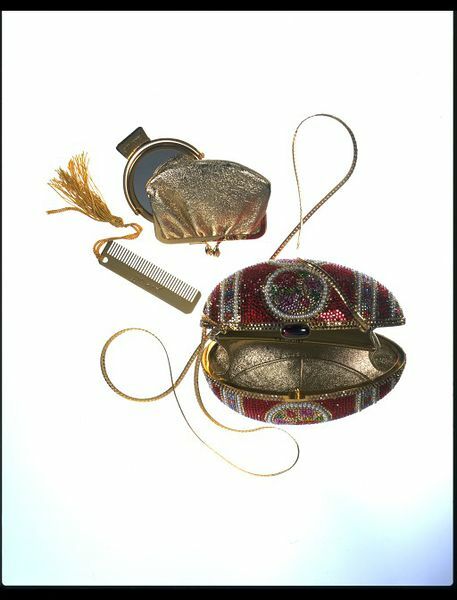 This rhinestone encrusted 'Faberge Egg' evening bag with trademark mirror and tasseled comb is designed by Judith Leiber. Leiber is best known for her jewelled and idiosyncratic metal vanity vases. Each piece is jewelled by hand, and have become collector's items. 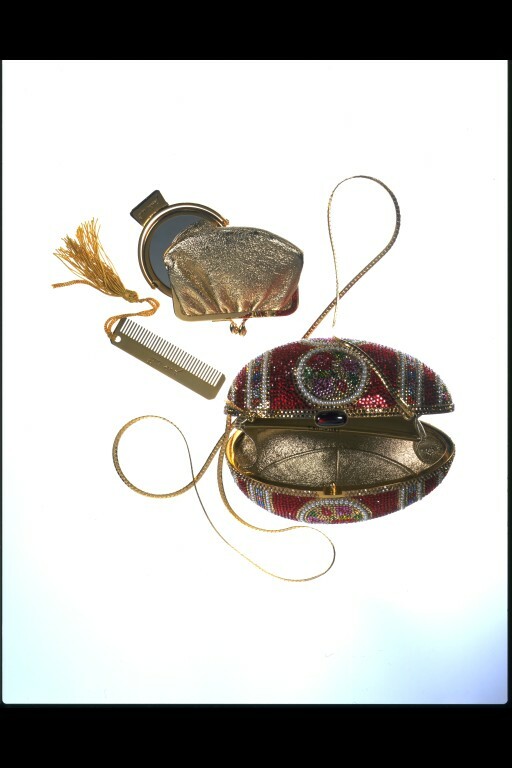 Rhinestone encrusted metal 'Faberge Egg' evening bag. 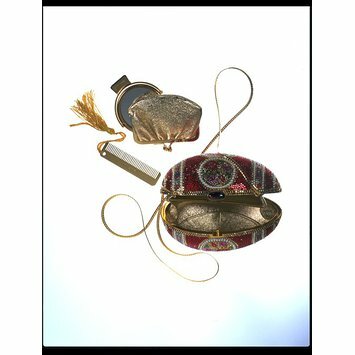 Part of a minaudiere set consisting of an evening bag, coin purse, tasseled comb and mirror T.511:1 to 4-1997.